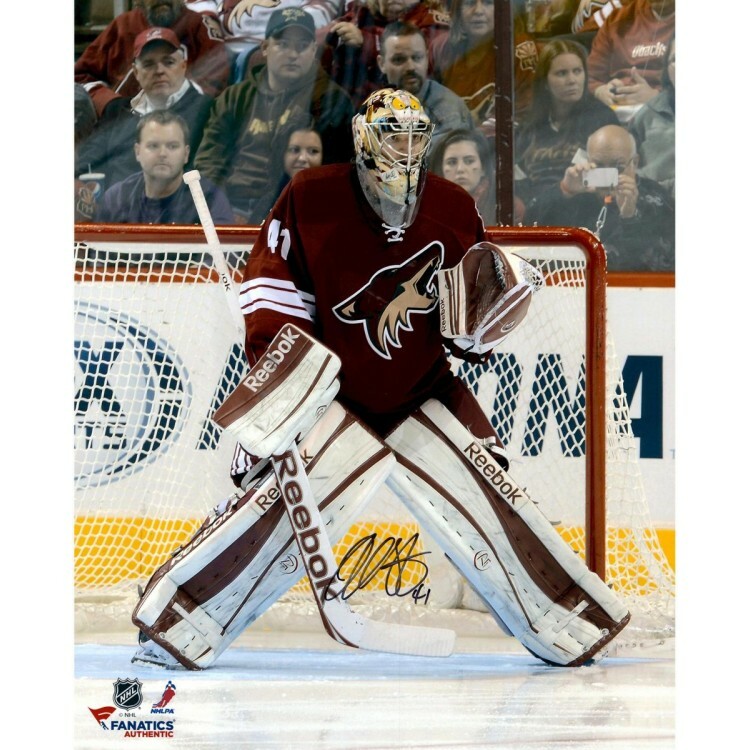 This 16'' x 20'' photograph has been personally hand-signed by goaltender Mike Smith. It is officially licensed by the National Hockey League and comes with an individually numbered, tamper-evident hologram from Fanatics Authentic. To ensure authenticity, the hologram can be reviewed online. This process helps to ensure that the product purchased is authentic and eliminates any possibility of duplication or fraud. The St. Louis Cardinals deluxe logo baseball bat display case is made of 1/8"-thick clear acrylic wi..
NEW! High rise single puck display, with mirror back! Includes your favorite NHL team logo engraved ..
Each 10" x 25" panoramic photo is of Gaylord Family Oklahoma Memorial Stadium, home of the Oklahoma .. This 8'' x 10'' photograph has been personally hand-signed by Patrik Elias. It is officially license..
Commemorate Jonathan Quick and the Los Angeles Kings as the 2014 NHL Stanley Cup Champions with this.. This 11'' x 14'' photograph has been personally hand-signed by Tyler Bozak. It is officially license.. The Indiana Hoosiers Golden Classic mini helmet display case comes with a black acrylic base, gold c..